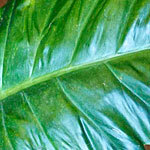 I absolutely love my Philodendron gloriosum. It took me a while to find a spot he liked (near the window, but not too near) and get the watering right, but now he’s growing like crazy and sends out one new leaf after another. And this guy really wants to travel. 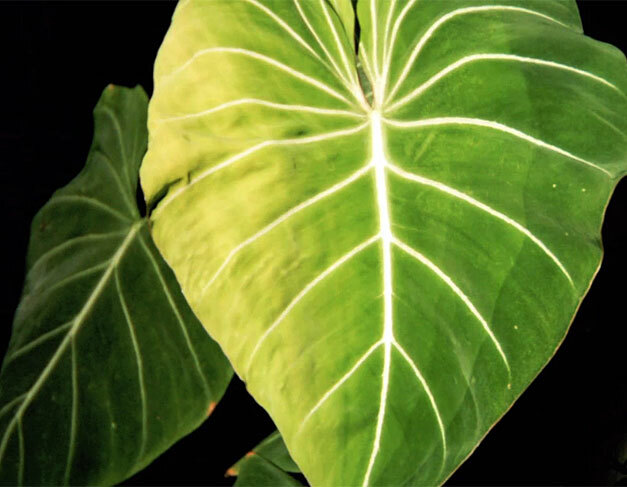 He’s not a climber like some Philodendron – he’s a spreader. 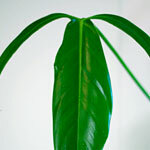 Each new leaf first grows horizontally at or under the soil surface, hits the edge of the container, and then juts upward. Someday I’ll have to give him a much wider pot. A couple weeks ago when I saw a new leaf spike emerge, I set the PlantCam on him and waited. When the new leaves emerge it is all I can do to not poke at them to help them along. Fortunately, this time I was out of town for a lot of the time, so I wasn’t tempted. Some plants really need space below in order to thrive up top. 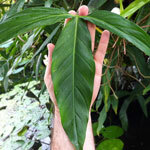 A single species can have different leaf shapes over the life of the plant. Great video, Looks like it’s struggeling to open until you remember the time frame covered here.